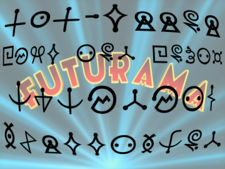 David A. Goodman worked briefly as a writer for Futurama during the fourth production season, where he wrote "Where No Fan Has Gone Before". After the episode, he was offered a job by the production team of Star Trek: Enterprise, which he began working on during its second season, until his attention turned towards Family Guy, where he began an executive producer in its fourth season. Goodman mentions on the commentary for "Where No Fan Has Gone Before", that he is a huge Star Trek fan and strived to make as many things in the episode in question a reference. Goodman was nominated for a Nebula Award for "Where No Fan Has Gone Before", but didn't win. This page was last edited on 15 February 2016, at 21:05.